Location in the zoo: Texas wildlife by the Raptor Exhibit. small and slender with black bill and blue orbital ring. 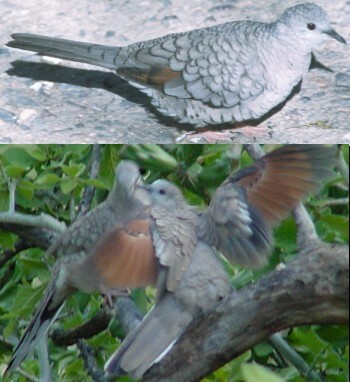 Pale gray brown body darker on back and upper wings and extensively scaly. The Inca is becoming more common in Upper Texas Coast. They usually are found near human habitat. They build their nest around humans and sometimes in the nest of other species. They generally use nest for two or more consecutive nestings. The Inca has adapted to the human environment very well and makes its living off of the generosity of animal lover. 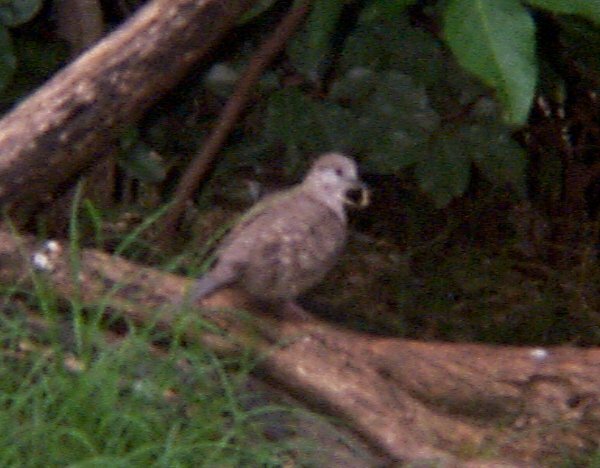 Its anatomical and physiological resembles that of its other family the Juvenile Mourning dove and the Common Ground dove. The Fort Worth Zoo keeper said the Inca Doves were temporarily removed from the exhibit because they did not get along with the roadrunners and other birds. The Inca Doves were skittish and continued to flap their wings disrupting the habitat. They have now been returned to the aviary in the Texas Wild exhibit. 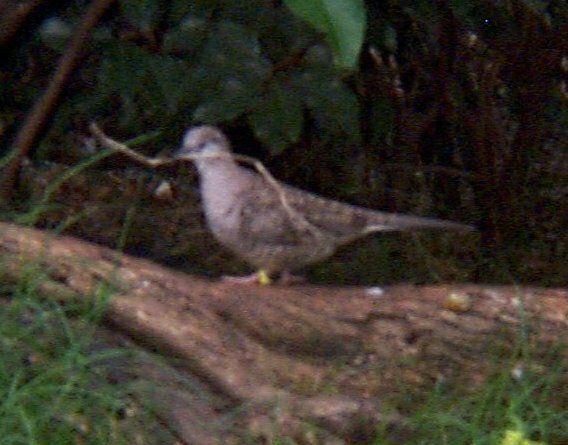 The Inca doves have now adapted to their new habitat and may be seen in the Brush Country section of the Texas Wild exhibit.